J. Ravichandran | I.K International Publishing House Pvt. 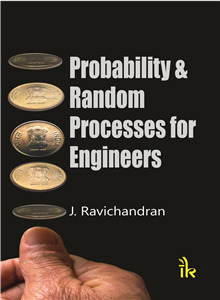 Ltd.
J. Ravichandran is Professor in the Department of Mathematics, Amrita Vishwa Vidhyapeetham, Coimbatore, India. He has a Master’s degree in Statistics and received his PhD in Statistics from Nagarjuna University, Guntur, Andhra Pradesh, India. Earlier, he served in the Statistical Quality Control Department of a manufacturing industry for more than 12 years. He has published a number of papers on Six Sigma in international journals and websites. His areas of research include statistical quality control, statistical inference, Six Sigma, total quality management and statistical pattern recognition. He was a senior member of the American Society for Quality (ASQ) over 20 years. He is a life member of the Indian Society for Technical Education (ISTE). He has contributed to quality in higher education by organizing a national level conference on “Quality Improvement Concepts and their Implementation in Higher Education”. 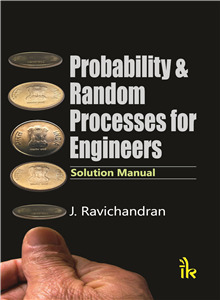 Dr. Ravichandran has published Probability and Statistics for Engineers.